We currently grow three different varieties of wheat for your dining pleasure. We offer both the whole grain wheat berries and freshly ground flour. Our hard white winter wheat will dazzle you with its lofty oven spring in your favorite whole wheat bread recipes. The color is light and golden. This flour works superbly for a whole wheat pizza crust as well as for breads, crackers, cookies, and cakes. Also, because of its “soft” quality, despite being a “hard” wheat, this flour can be a whole wheat substitute for “all purpose” flour both in breads as well as in pie crusts. 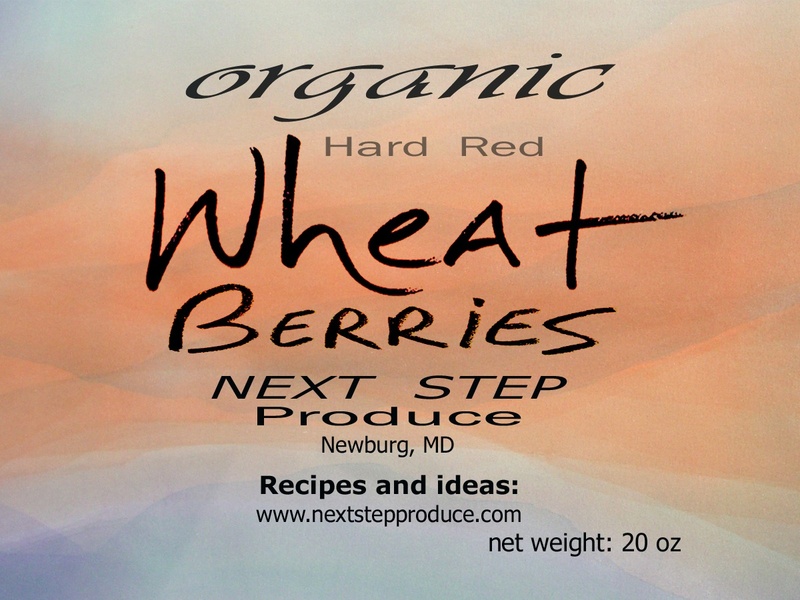 Our hard red spring wheat will rise to the occasion yielding flavorful, rich colored whole wheat breads. This flour works for breads as well as crackers, cookies, and cakes. Turkey Red wheat is a version of hard red winter wheat that originated in the Ukraine and arrived in the Great Plains in the 1870’s when Mennonite immigrants fled religious persecution. Since the soil type and clmate of states like Kansas matched the Ukrainian steppe, this hard red winter wheat grew popular among farmers in the nation’s breadbasket. It was known for its hardiness, good bread making characteristics, and exceptional taste. By 1919, it represented virtually all of the wheat grown in Kansas and remained in this position until World War II when modern higher-yielding varieties replaced it. The genetics of this plant are still lurking in the “modern” wheat varieties grown the world over, since it was bred into the foundation varieties that created the Green Revolution. Turkey Red Wheat is now only grown by a handful of farmers in the country: in the Great Plain, North Caroline, and now here in Southern Maryland by us. It has a unique, sweet, and mild character and tends to have fewer bitter notes than whole wheat flour, especially when freshly milled. Our wheat varieties are ideal for baking or for sprouting. Our freshly ground flour has been joyfully received by bread enthusiasts and from-scratch bakers alike. We make 100% whole-wheat breads, and we have found that the gluten develops very quickly and abundantly so as to yield beautifully risen loaves The flavor is, of course, as fresh as fresh can be. Sprouting these wheatberries would yield the infamous wheat grass, that green juice which is so extremely nutritional. And sprouting wheatberries also allows you to make delicious and nutritious raw wheatberry salad. A great way to incorporate raw live foods into your diet! Wheatberries are also wonderful in grain pilafs, or even sauced like pasta, and because they hold their shape so well without going starchy, they’re perfect for make-ahead dishes. Toss them, cooked and cooled, into leafy salads, combine them with lentils or beans, minced vegetables and vinaigrette for a main-dish salad, or add them to a batch of quick bread or muffins, for extra texture and flavor.